From time to time we all fall victim to that plaintiff cry as we eat dinner. It’s difficult to resist that adorable stare that follows every forkful of food into your mouth. So we cave and we feed our cat a tidbit from our plate, usually with little regard as to whether it’s actually good for them. So are there human foods that cats can eat? Let’s see. This may seem like a controversial choice, but we’re not suggesting that you feed your cat on any of the items on this list alone. We’re asking whether it’s safe for your cat to have these items occasionally. When it comes to salmon the answer to that is yes. There are many articles out there that hysterically insist that you shouldn’t feed yourself salmon let alone your cat. But as with all things this is a matter of some basic research. Whether you or your cat should eat salmon comes down to quality. Where is the salmon from? Is it fresh or canned? If it’s canned what is it preserved in? If fresh, is it farmed or wild? When farmed does it come from a good quality fishery? Simply put, the occasional piece of raw salmon will do no harm. 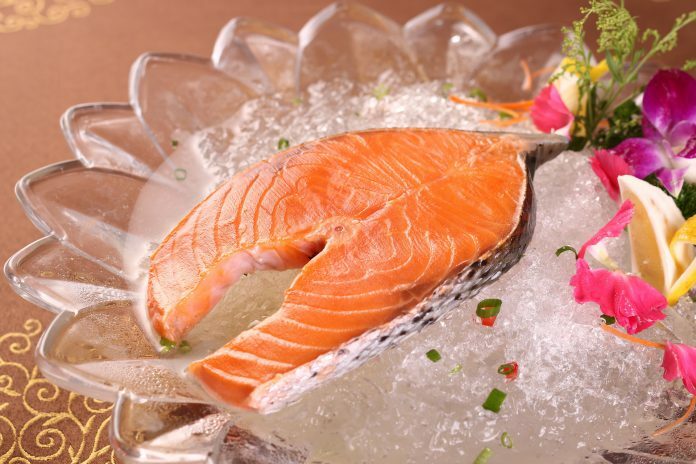 It contains omega 3 fatty acids which contribute to a healthy coat and skin. Just be careful to remove that sub-dermal fat that you find in farmed salmon that can cause diarrhea. Cooked salmon should be perfectly safe and canned salmon will also be fine. However, ensure that you don’t buy the kind that’s preserved in oil or brine. The oil can cause upset stomachs and episodes of diarrhea. Salmon in brine contains too much salt which can lead to multiple health issues. The bottom line here is that as an occasional treat salmon is fine. Just don’t feed it to your cat in large quantities or as the staple food in its diet. Tuna is one of those foods that might ring alarm bells with many cat owners. Concerns over mercury are well known and it’s a fact that the further up the food chain you go the more mercury you’ll find in fish. Tuna therefore have higher concentrations than most fish. 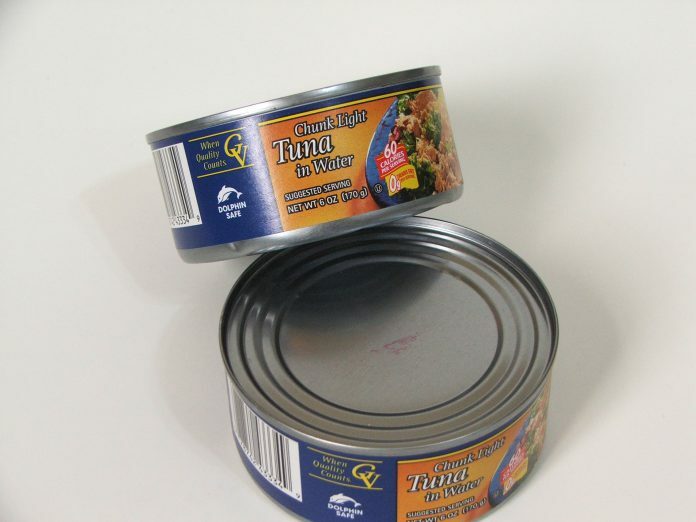 Most tuna that people feed to their cats is the canned variety and this can present some problems. It’s often preserved in oil or brine and this can lead to gastric upset. It also contains thiamanase which breaks down thiamine (Vitamin B1) in cats. This is addressed in many tuna-based cat foods by the addition of extra thiamine. So despite its addictive qualities, it’s not looking food for tuna. A cat fed exclusively on tuna can suffer health complications as a result and will actually become malnourished as it doesn’t contain all of the required nutrition. But, once again, it comes down to common sense. A little tuna fed to your cat infrequently makes for a tasty treat and won’t result in serious problems. While cats are strict carnivores, they consume non-meat foodstuffs. Most cat owners will have observed their pet eating grass on occasion, especially when he’s been under the weather. Cats require meat in some form in order to survive, but that doesn’t mean that they can’t benefit from their greens. Spinach is a great way to provide many vitamins and minerals that your cat needs in order to maintain good health. 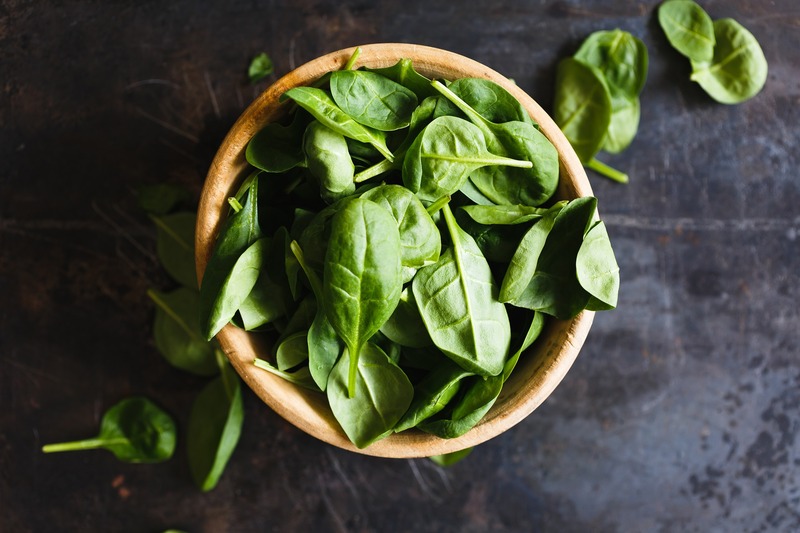 Spinach is rich in Vitamins A, C and K as well as being a great source of iron and calcium. So if you can get your little friend to munch on some spinach it’ll do him nothing but good. With one exception: if your cat is prone to calcium oxalate bladder stones you should avoid it. 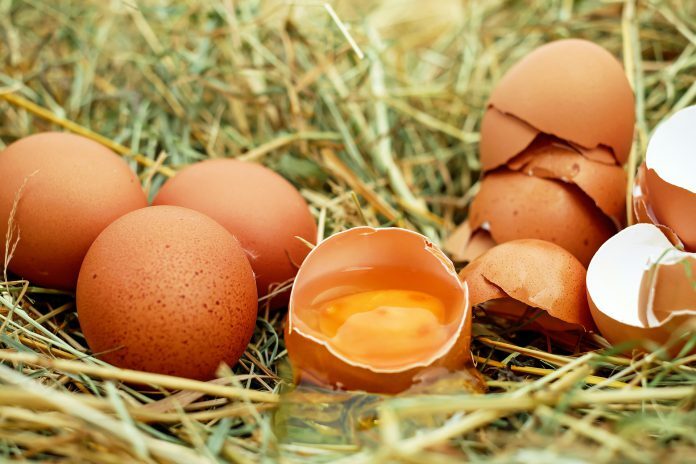 You might not think of eggs when considering what human foods your cat can eat, but it makes perfect sense when you think about it. Cats are natural hunters and birds are natural prey. A hungry cat will happily raid a bird’s nest and devour the contents. But is it safe? Cats can eat eggs with no ill effects. They’re a great source of protein and B vitamins and you can find them in many commercial cat foods. However, egg whites contain avidin which can break down vitamin B12 leading to a deficiency. Your cat would have to consume eggs in massive quantities for that to be a problem though. If it’s still a concern you can remove any risk by only feeding him cooked eggs. You’re probably wondering why this is even on our list, but believe it or not there are plenty of cats out there that love nothing more than to chow down on a nice piece of melon. There are all sorts of theories as to why this should be. Many people think it’s just a greedy cat or perhaps the texture is enticing. But there may be some science behind it. Volatiles are chemicals that readily vaporize to give foods their smell. 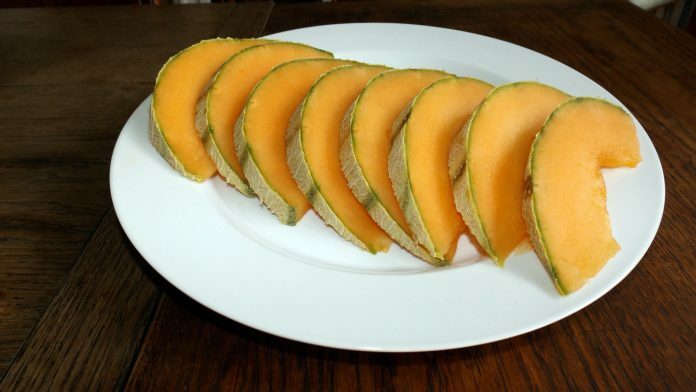 Amino acids in melon are what give them much of their aroma and they are also the building blocks of protein. So it seems that your cat might just think the melon smells like meat. We know that cats are one of the only mammals that can’t detect sweet tastes so this looks to be sound. But is it safe? The answer is yes. Cats can eat cantaloupe with no ill effects. Like all enticing foods though, you should make sure that they don’t become obsessed by that single food as it provides little of the nutrition they need. Now if your cat doesn’t like chicken you might want to make sure it really is a cat after all. My cat Andrew is obsessed by chicken to the point that when I open the fridge door he comes running over to see what’s happening. Cats are obligate carnivores which means they need some sort of meat in their diet in order to survive. Chicken is in most ways an ideal food for your cat and you can find it in many commercial cat foods. However there are several things you should be aware of. You should feed your cat whole meat only. Reformed meats are pumped full of water, sugar and salt and aren’t a good choice in the long run. Pre-packed chicken can also have a lot of added salt so check the pack to make sure. While cats are perfectly adapted to eat raw poultry the usual caveats apply regarding parasites. 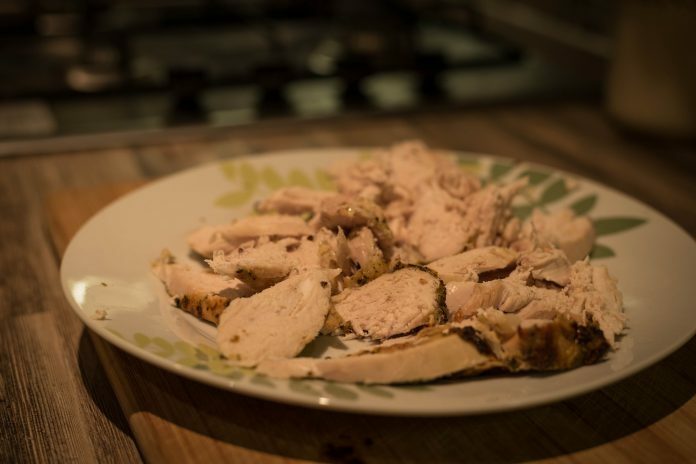 Cooked chicken can sit in a bowl for a while before being thrown away. Raw chicken will quickly spoil and attract flies. We’ve all been there, you sit down, peel a banana and your little furry pal is looking up at you seeing if he can extort a piece. It might seem ok to just give him a little taste, but is it safe? You’ll be happy to learn that yes, they’re safe. 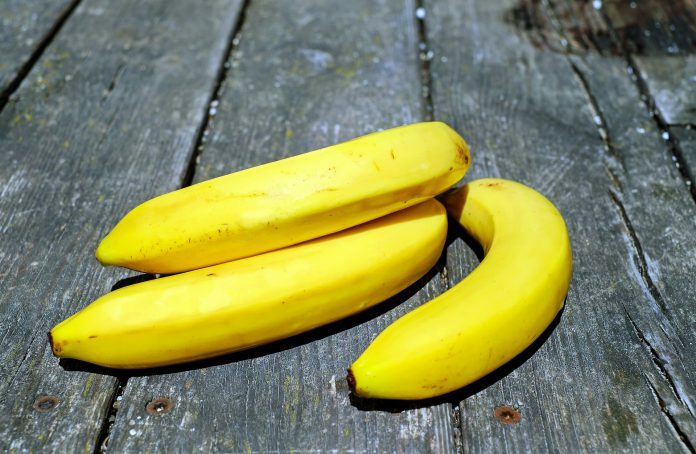 Bananas aren’t toxic to cats, but neither are they all that nutritious for our feline friends. They’re starchy and full of natural sugars, which isn’t the best combination for a cat’s digestive system. Cats aren’t designed to break down fibre and sugar in the same way as humans, so you could end up with a constipated cat if you feed it too much banana. The sugar in bananas could also lead to obesity if you over-indulge over a period of time. Like so many of the foods on this list though a little bit now and again will be absolutely fine. So it’s Halloween and you’re up to your neck in pumpkins. What to do? Well, you might consider feed it to your cat. That’s if he’ll eat it of course. Pumpkin is completely safe for your cat and provides a high fibre-content which can aid weight loss in overweight kitties. It also provides much needed moisture that can be missing if your cat is on a diet consisting of mainly dry foods. 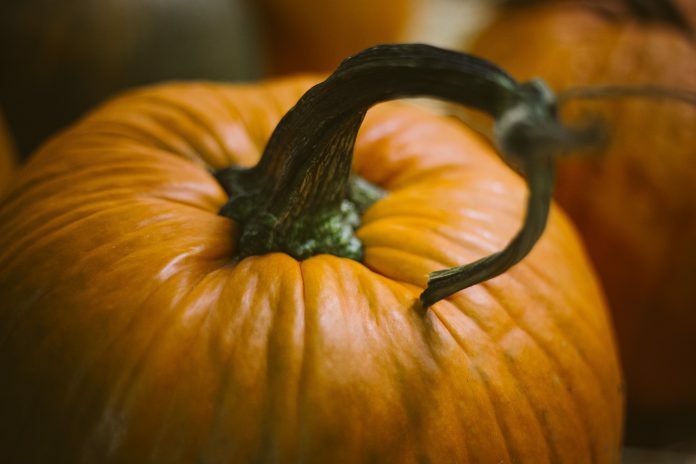 Not only is the fibrous pumpkin flesh good for your cat but the seeds can also be fed either individually or as a supplement ground into other food. It’s important to note that we’re talking about either fresh pumpkin or canned, unsweetened pumpkin. Under no circumstances should you try to feed your cat pumpkin pie filling as it contains too much sugar and may lead to obesity or tooth decay. We’re all aware if the positive health benefits of blueberries in our own diet. They’re a great source of Vitamins A, C, E and K as well as being rich in antioxidants. But are they safe to feed to our cats? The answer is an emphatic yes. 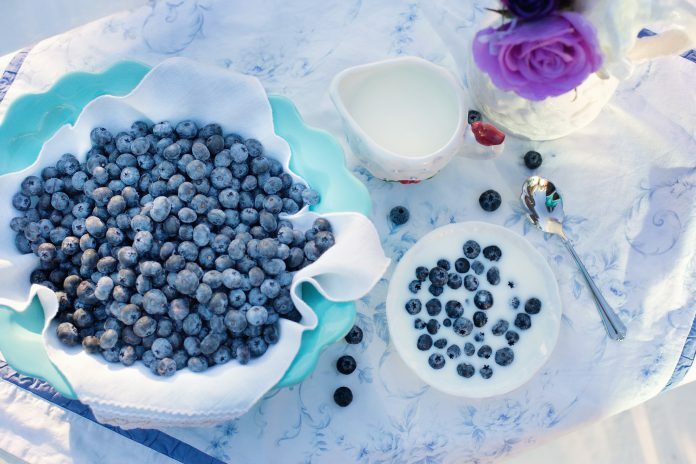 Blueberries are a great healthy treat for your cat as long as you don’t overdo it. They contain natural sugar which isn’t great in large quantities but the chances are your cat will tire of them long before that becomes a problem. On paper it seems fairly cut and dry. 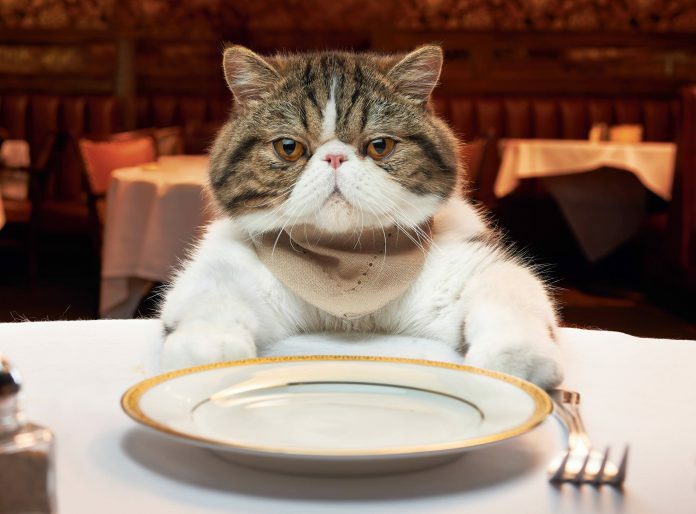 Cats are obligate carnivores and therefore absolutely need to eat meat to survive. That doesn’t mean they can’t receive protein from other sources of course, but is cheese a wise choice? Well, yes and no. Many cats become lactose intolerant as they reach maturity and as such any dairy produce can cause diarrhea or gastro-intestinal distress. This isn’t the case with every cat though and yours might be fine with a small amount of hard cheese. 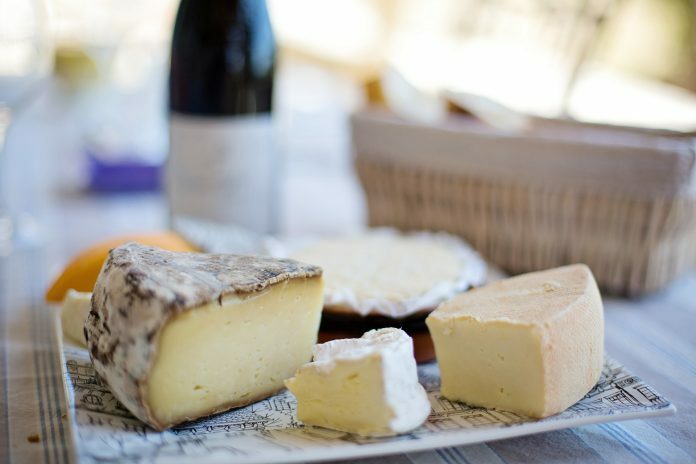 Many cats absolutely love cheese and it’s therefore up to you to try a little and see how they get on with it. If you find that it’s to their liking you now have an excellent treat food in which to hide any medicines you need to administer.